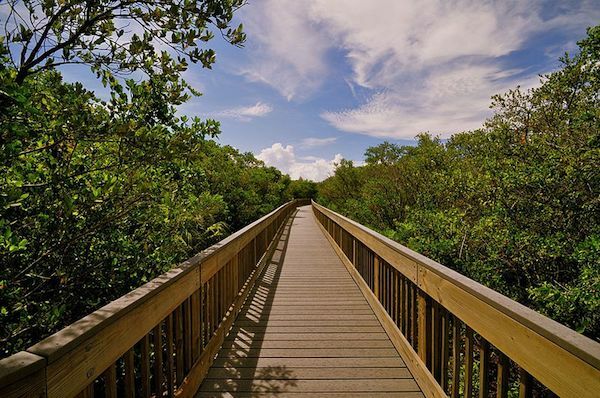 This 3,190-acre natural area located on Tampa Bay is home to a great variety of plant and animal life. It’s a popular spot for birding, fishing, and kayaking/canoeing. For runners, there are several miles of very pretty trails, combining woodlands, marshlands, and pretty water views. 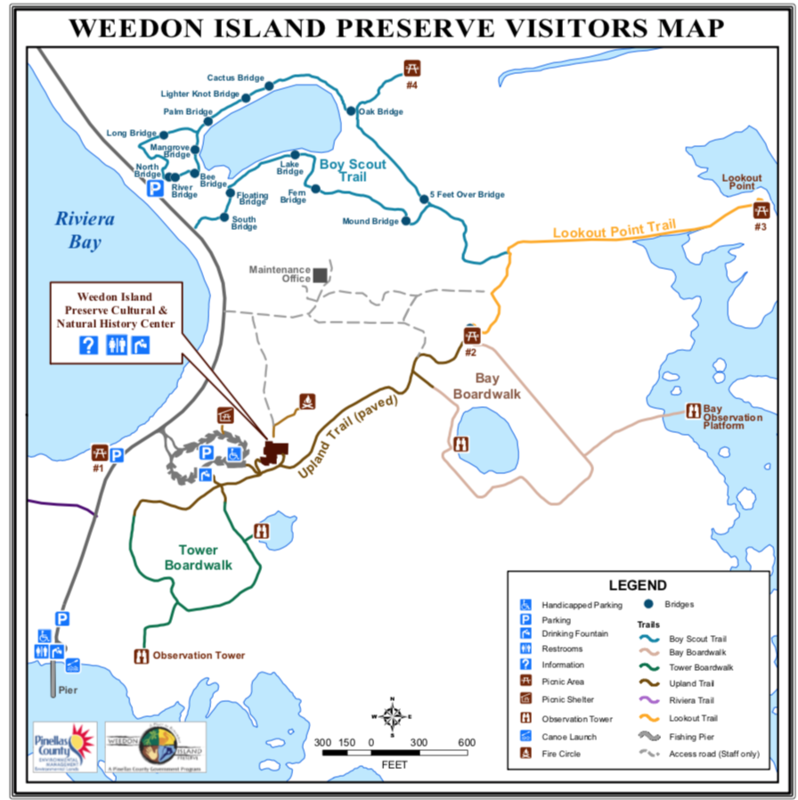 Rather than describing a particular route, see the attached trail map. Highlights include the 1-mile Boy Scout Loop (with 1.7 miles of additional trails coming off the main trail), and 2+ miles of boardwalks. It’s also possible to run on the main road, Weedon Dr., which doesn’t have too much traffic (though there’s no shoulder).